Learn the versatility of the Ultra-Sound technology, newly adapted to the Esthetic field and adding a viable and profitable treatment for a broad range of skin conditions. The thermal effect of chemical and mechanical ultrasonic wave energy results in an increase in fibroblast activity and collagen deposition. Known to influence cellular membrane permeability through phonophoresis, this modality includes an additional and wildly potential benefit; delivering topical products through the skin. Ultrasonic wave warms up your skin and turns liquid into vapor to penetrate into the skin. 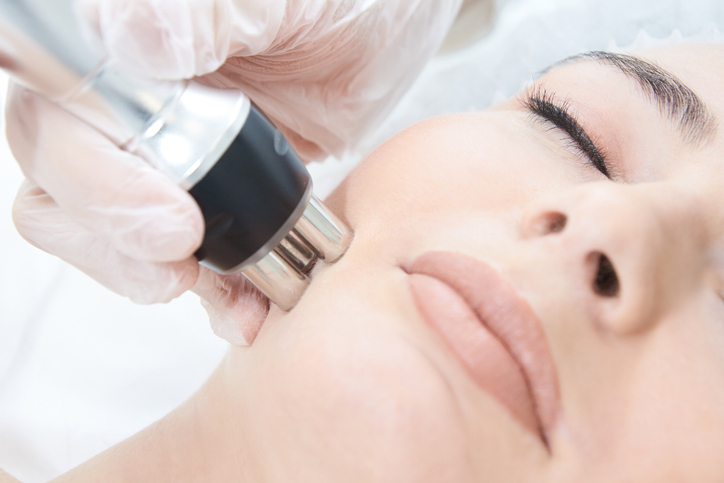 The ability of ultrasound in skin care treatment is to enhance the delivery of chemical peelings and absorption of nutrients in the skin that may position Ultrasound to become a breakthrough modality.